SINGAPORE - Self-help group Mendaki will launch two new awards this year aimed at nurturing lifelong learning. One will help individuals whose studies were interrupted in the past and want to go back to school, while the other targets professionals keen on honing their skills and gaining experience. Another big plan is in the works. Mendaki - which turns 35 this year - hopes to secure a site for a new satellite centre in the West by year-end. 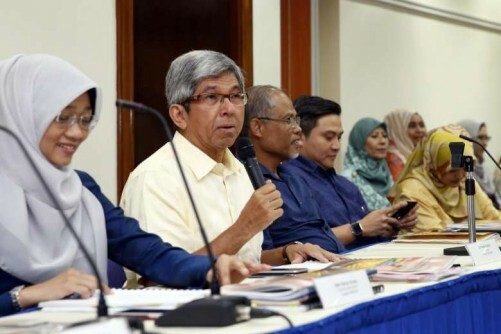 Minister-in-charge of Muslim Affairs Yaacob Ibrahim, who is chairman of Mendaki, announced these plans after the group's annual general meeting on Saturday (June 17). On the first award for those who could not complete their studies, he said: "We found that some of the kids in our homes, some of the kids who have been incarcerated for whatever reason, they have an opportunity to come back. "Mendaki wants to play an effective role in ensuring they have that opportunity." The self-help group is also exploring an award to fund professionals who have secured fellowships or attachments at top-tier companies such as Google and IBM. "We realise that in the era of lifelong learning, it's not just about qualifications. It's about experience, and how individuals can be given the opportunity to gain meaningful experience," said Dr Yaacob. "I think that will add value to our community." These two awards are now being developed, and Mendaki will provide more details later. Separately, Mendaki is looking to build its seventh satellite centre in the West. Dr Yaacob said the centre, first announced last year, will help "fill a gap" in the West, where there is a concentration of low-income Malay families. The self-help group set up its first two centres in 2013 - one at a void deck in Pasir Ris, and another in the Woodlands Community Club. The following year, it opened another four satellite centres in mosques around the island. One of those is housed in Assyakirin Mosque in Taman Jurong, but the space is a small one, said Dr Yaacob, who is also Minister for Communications and Information. Mendaki is looking at having the new centre at a void deck in Bukit Batok or Bukit Gombak, and running programmes such as coding or robotics camps there, he added. The self-help group enjoyed a $3 million surplus last year. It spent about $34 million on its activities, subsidies, and scholarships, and disbursed about $38 million under its tertiary tuition scheme. Moving forward, it will ramp up efforts to get young children ready for school, and equip the community with the skillsets needed to weather the changing economy. To keep spending sustainable, Mendaki is tapping on technology to trim manpower costs, and looking at whether some of its existing programmes can be outsourced to other providers, said Dr Yaacob. "We do not want to shortchange the community... but maybe there could be other organisations who are better-placed to run a programme," he said. He cited the Family Excellence Circle programme, which was started by Mendaki more than a decade ago to build social capital for low-income families through workshops for parents. There are more than 50 of these circles to date, the bulk of which are run by other Malay/Muslim organisations. "The strategy by Mendaki is we pilot and test the programme... so that other organisations can adopt it. We want to help other organisations build capacity," said Dr Yaacob.